The sun was out and the air was warm-ish on Saturday and so AP and I took the dog into town for a walk-about and a stop at our favorite pub. 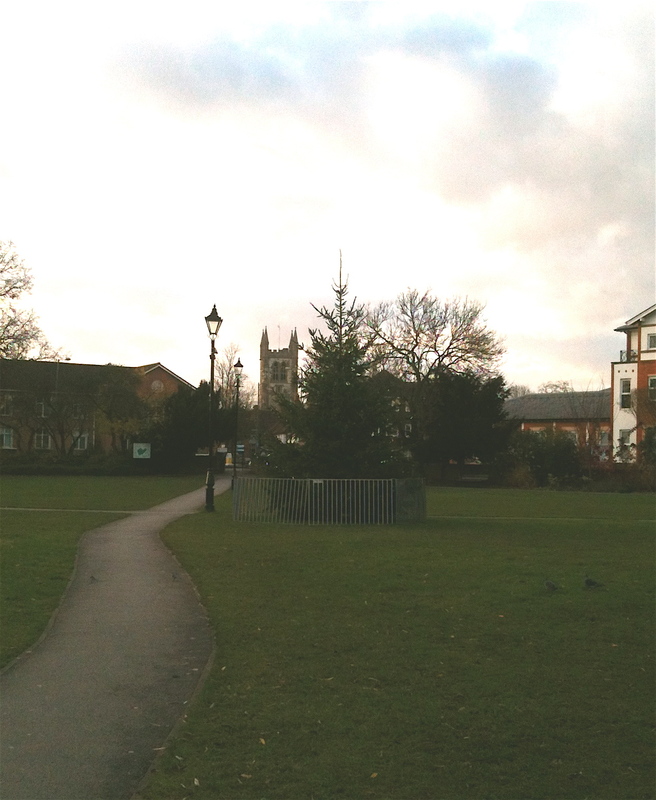 This is the park where the town council held their lighting of the Christmas Tree celebration last weekend. And this appears to be the tree. Really, Farnham? That’s our Christmas Tree? I’m glad I didn’t bust a hump to go down there for the ceremony. Government austerity gone too far. 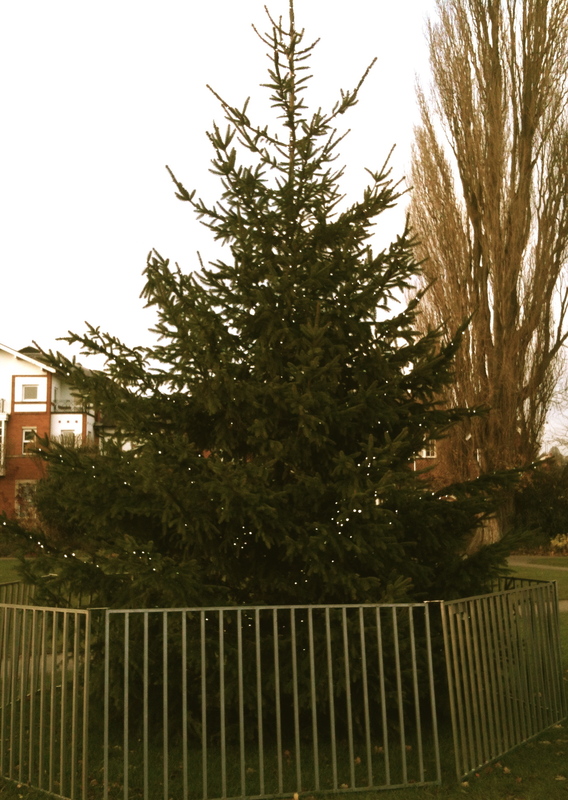 Ah, it’s a lovely tree~don’t hurt its feelings, Kim! But I get what you’re saying. In times of austerity (and more than a little worry) it’s time to go big and wild with the cheeriness, not cramped and miserly. Happy Christmas to you and all your happy animals (I include darling AP in there). Party on! There are teeny tiny lights on the tree. I think they’re LED lights and I guess those were the lights that Farnham “switched on” last week. I thought it was so sad. Not even a candy cane or red bow. Oh well. Thanks for the Christmas greetings, Anne.